Federal (VOGUE) Red on White Enameled Ware dipper. 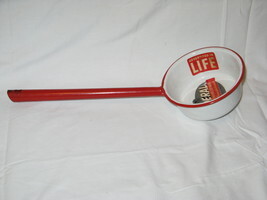 BRAND NEW This is a nice never used red on white enameled long handled dipper that still has the original labels on it. 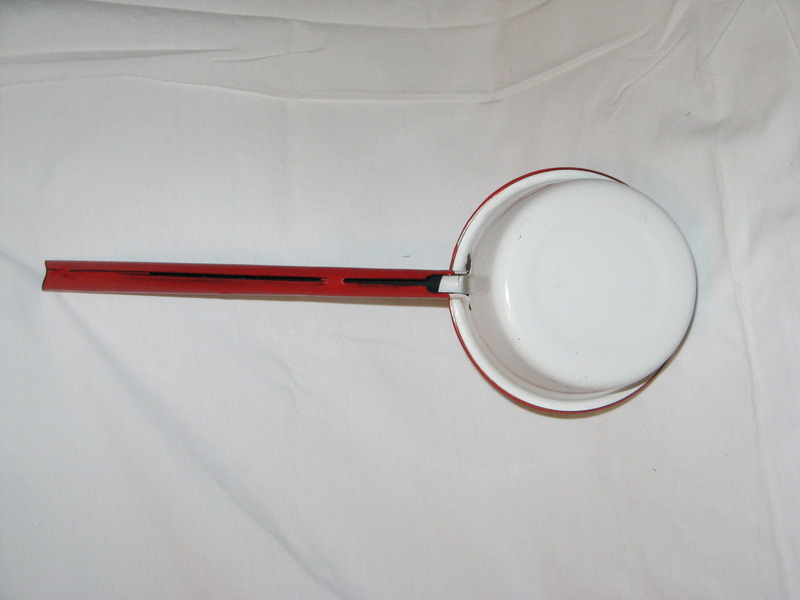 It was manufactured by the Federal Enameling Stamping Co. in Pittsburgh PA in the late fifties. 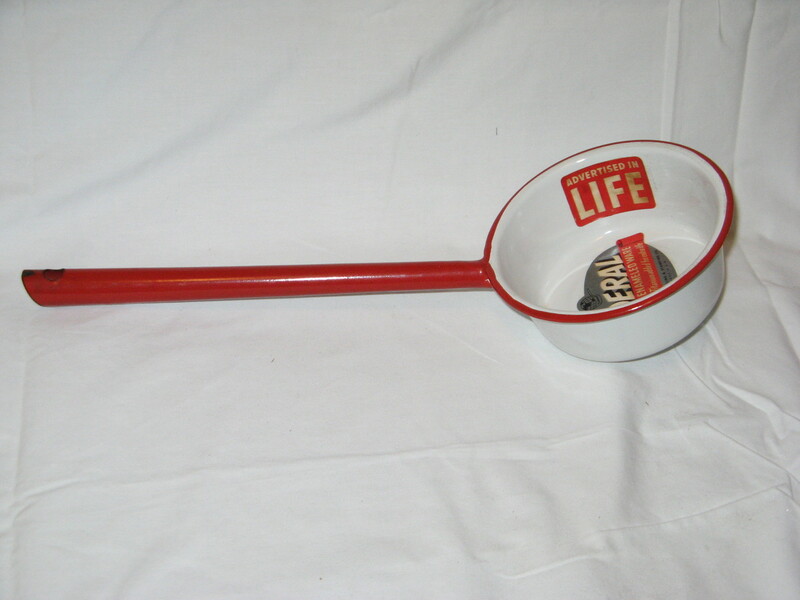 It does have some minor damage that can be seen in the photo above, but it does not detract from the overall looks. 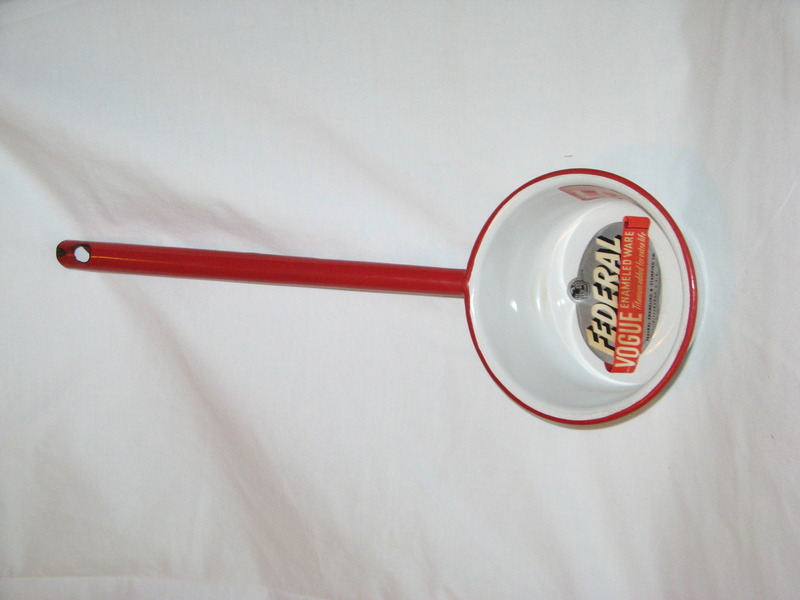 The dipper is 5" (127 mm) in diameter and 2" (51mm) deep while the red handle is 9 1/2" (241mm) long. I will ship this item internationally, but please contact me before buying to get a shipping quote. Please ask questions before you buy. Returns accepted with prior authorization only. Items must be returned undamaged within 10 days of customer receipt for cash refund only. Buyer is responsible for all return shipping costs. Refunds made when item is received and verified. If you have a problem, contact me first. I only want to make my customers happy because that’s how you get repeat business. This is a new venture for me on Bonanza, but I’ve been selling on that other auction site under the same name (Convigil) for over 15 years without one negative feedback. I plan on continuing that trend here on Bonanza.